I know this is a provocative statement and is going to raise a lot of hackles, because most IVF clinics in India don't do day 5 transfers. While quite a few do day 3 transfers, many still continue doing day 2 transfers. We used to do day 2 and day 3 transfers in the past as well, but the technology has become so good that we can routinely do day 5 transfers for everyone who comes to us. I think any clinic which doesn't do, this is actually being irresponsible. Not only are they depriving their patient of the best chance of getting pregnant, they're also signaling that they're not very confident about their ability or expertise or of their embryologist or IVF lab to be able to go grow embryos to blastocyst stage. Now, there's no doubt that the blastocyst transfer has a much higher implantation rate than day 2 or day 3 transfers. This has been proven multiple times in many research studies all over the world. I am quite happy for someone to challenge this statement by providing me with figures to the contrary. Now, I'm not saying that day 2 and day 3 embryos don't achieve pregnancies. Of course, they do, but they would have achieved the pregnancy, even if you've grown these embryos to day 5, so I don't see any advantage to transferring at day 2 or day 3. In fact, there are multiple disadvantages. For one thing, you often have to transfer more embryos to achieve the same pregnancy rates, so you have end up with a higher risk of having multiple pregnancies which can actually cause more long term problems in the form of premature births or low birth weight babies. This is hardly a desirable outcome. The trouble is that sometimes IVF doctors are very shortsighted, and all they want to do is achieve a transfer and get a pregnancy, if at all. They are not very invested in the long term outcome for the patient, which means they don't think about what they will do in case the first cycle fails, because lot of them just want to earn the money on the first cycle and never mind about what happens to the patient, because there will be a new bakra to catch tomorrow. They don't really worry about their live birth rates, because once the patient gets pregnant, they wash their hands of all responsibility. 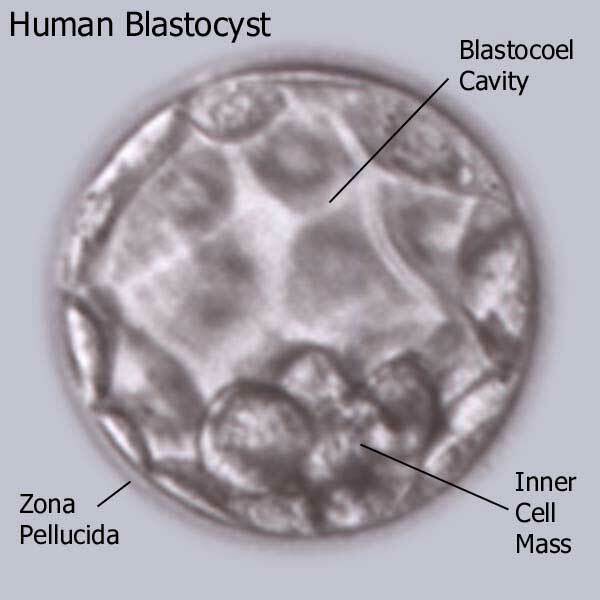 I think smart patients need to understand that the standard of care for IVF today is a blastocyst. It allows us to pick the best embryos, it allows us to transfer fewer embryos, and it allows us to achieve a high pregnancy rate. All of which are major advantages for the patient, so why should a patient be willing to accept suboptimal, poor quality care just because the IVF clinic is not confident or competent? In fact, patient should be proactive, and unless patients demand that doctors improve the quality and standard of services they provide, they will continue being taken for a ride by unscrupulous doctors. It is true that for the poor ovarian responder with few eggs, there is a risk that none of them may develop to the blastocyst stage. All of them may "arrest", so that there are no embryos available for transfer. While this may cause short-term pain, it does provide useful information for planning the next treatment cycle. So why doesn't every clinic routinely do blastocyst transfers only ? Why do some still transfer embryos on Day 2 and Day 3 ? This is because they are not competent, and do not have enough confidence in the ability of their IVF lab to be able to grow embryos to the blastocyst stage. You do need a full-time experienced and expert embryologist to be able to consistently grow embryos to the blastocyst stage, and sadly lots of IVF clinics still are not adequately equipped or staffed to be able to offer this option to their patients, which is why they end up cutting corners.